Come and hear curators Judy Watson and Diana Young talk about their exhibition written on the body. written on the body disrupts museum classificatory categories. In the past, especially in the early years of the Museum, it was usual to write on to collected things, securing their classification and place in the Collection. To the descendants of the Aboriginal and Torres Strait Islander makers and owners of these things, the act of inscribing onto may be experienced as vandalism - an intention to control by another, dominating culture. The curators' response to these written on Indigenous things - the everyday paraphernalia for living of stone axes, knives, grinding stones, spears, dishes, throwing sticks - is multilayered. In the Museum’s gallery these things co-exist amongst used kitchenware, rear- view car mirrors and anthropometric measuring devices creating new sets of relationships and a commentary on the past in the present. written on the body has been receiving wonderful reviews. It closes on August 15, don't miss your chance to experience this innovative exhibition. Judy Watson is an artist from the Waanyi people in northwest Queensland. 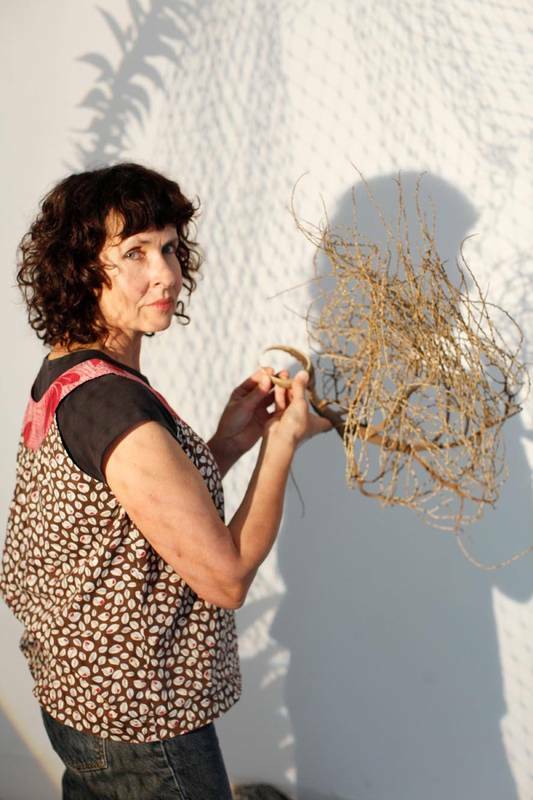 She is a printmaker, painter, sculptor and curator, and her work often explores her relationship with the traditional country of her grandmother. Her work has attracted national and international acclaim, and she has been commissioned for several high-profile public art projects including the Sydney International Airport, Melbourne Museum and the Musée du quai Branly in Paris. (Photo by Sharon Hickey Sept 2011). Diana Young is an anthropologist and the Director of the UQ Anthropology Museum. 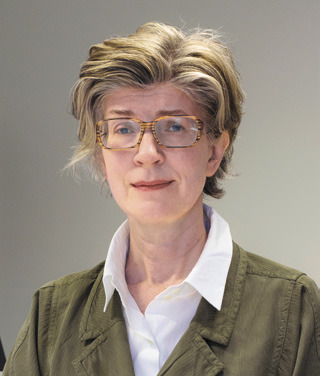 Her research focus is on material and visual culture, with a strong interest in the theoretical and practical aspects of ethnographic collections and their reinvention for the 21st century. She carried out her doctoral fieldwork on the Anangu Pitjantjatjara Yankunytjatjara Lands in the late 1990s and continues to work with Anangu. Dr Young has curated a number of significant exhibitions in Australia. (Photo by Carl Warner, July 2014).